Some GSA modules (footfall, steel) can not be registered with generated serials, they need additional licensing. Therefore, you should register GSA application WITHOUT 'Modules' option checked, besides it apply utility - GSA Modules Enabler. 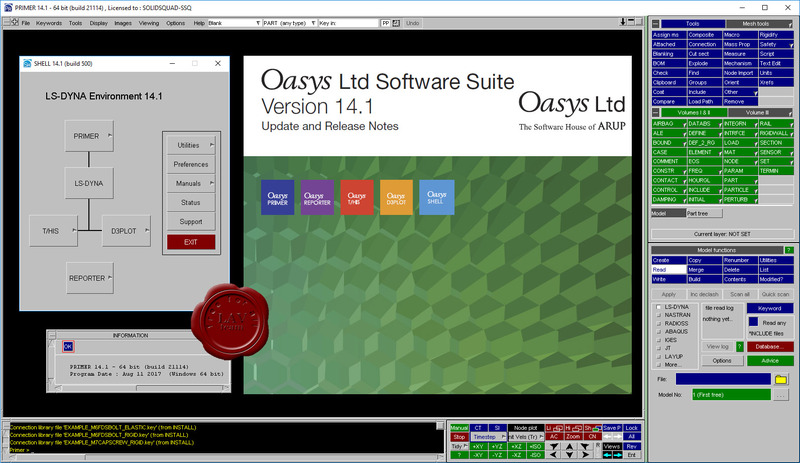 It will modify license file (C:\ProgramData\Oasys\Solo\GSA.lf), so all 32 modules will be enabled. This utility can be used before/after main keygen. It is occured that some apps off the package has module (modules) which needs additional licensing (not activated by default). So we've fixed the keygen. Use it FIRST without 'Modules' option initially. If the program needs additional license, than use keygen SECOND time with 'Modules' option checked. If keygen will be used with 'Modules' option checked at the FIRST time, the program will not be authorized. Oasys software leads the field in structural, seismic, geotechnical and document management. Its programs are used across 200 countries, by leading designers of the built environment – including the UK’s top 25 building design consultants – and by numerous universities. For the analysis behind high-performance structures, designers depend on sophisticated, customisable tools. They also need to communicate complex information to clients, collaborators and stakeholders through accessible but compelling visualisations. 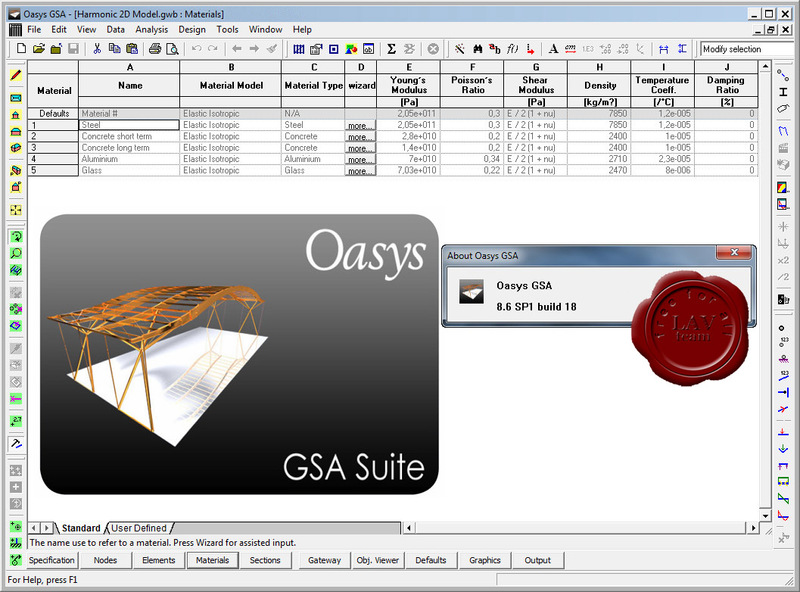 Oasys structural software programs answer these demands. They support the design process from the initial concept to the finest detail, from tall buildings and rail bridges to deep foundations. Programs such as GSA Suite have helped engineers to realise landmark projects worldwide, from the Beijing National Aquatics Center (Water Cube) to the United States Air Force Memorial in Washington. Oasys seismic programs facilitate the design of resilient structures, able to withstand earthquakes. Our geotechnical software helps construct stable foundations, retaining walls, tunnels and cavern structures. Design problems often require unique solutions. Oasys specialist engineering analysis software can help solve the trickiest of challenges, from analysing how feather-light fabrics perform to understanding the effects of extreme blasts. These specialist software products include MassMotion, an advanced tool for simulating and analysing crowds. MassMotion’s rapid analysis of complex pedestrian networks saves time and improves communication on major projects such as Transbay Transit Center, San Francisco. Many of the issues that face building and infrastructure designers are common across the business world. Sustainable operations and modern information management transcend individual sector needs. Tackle any structural engineering challenge with this complete design and analysis package. Structural engineers working on buildings, bridges and tensile structures need a comprehensive design program.